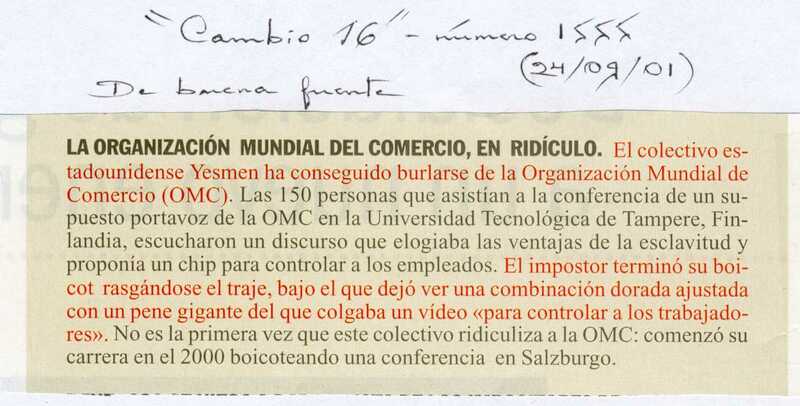 Fortune, Jan. 21, 2002: Will the Real WTO Please Stand Up? CorporateWatch, Sept.-Oct. 2001: Say YES! to Corporate Stupidity! Digitoday, Aug. 23, 2001 (translated): Research on intelligent clothing going strong. The impulse overalls only a cunning prank.